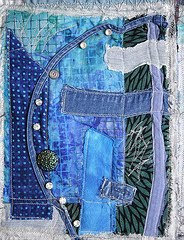 colors textures & patterns michele merges martens: the possibilities are endless! and that's just my personal stuff, not counting work or family. I am sorting my pencils and pens and markers into color families. I am sorting my rubber stamps into those I absolutely love and those I use occasionally. I am putting all of my magazine clippings and paper pieces into one large box. I am gathering all of my other paper working tools into boxes. I'll see how I do!